Brainware Group of Institutions was established in the year 1990 under the able guidance of Sabita Devi Education Trust. The highlight of this institution is the eco-friendly, integrated knowledge campus at Barasat. Brainware Group of Institutions seeks to redefine technical education like never before, with an impressive track record. The faculty consists of experienced and qualified professors from IIT, JU, BESU, IIM, XLRI, ISI and many other institutes of global repute. The infrastructure on campus matches global standards providing for an all round development of the students. The campus encompasses excellent infrastructure and facilities for sports and other outdoor activities. At Brainware Group of Institutions Barasat we prepare students to join their organizations with fresh ideas, new business skills, and a greater capacity for addressing the challenges their companies will face. Being a pioneer in providing education, Brainware Group of Institutions fee structure is synonymous with quality education at affordable cost. Our pre-placement grooming and finishing school have a clear focus on creating professionals that can match any level of industry standards. Their belief is in inculcating creativity and innovation among students to match high-end competency. The knowledge campus is at par with any other reputed educational institution, providing state-of-art technology to the students. The Institute is approved by the AICTE, New Delhi and affiliated to the West Bengal University of Technology [WBUT]. The prime aim of the placement cell at Brainware Group of Institutions Barasat is 100% placement. 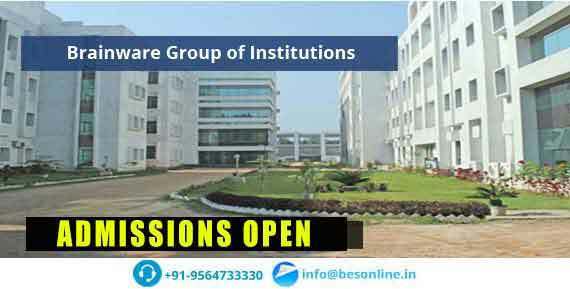 Qus: How do I get an admission in Brainware Group of Institutions? Ans: If you are looking for direct admission in Brainware Group of Institutions, Bright Educational Service is the right place for you which have India's top most direct admission consultants and where we give 100% assurance of admissions in India as well as admissions abroad. Qus: Which are the entrance exams accepted by Brainware Group of Institutions? Ans: Brainware Group of Institutions, Barasat will accept the entrance exam scores of WBJEE for admission. Qus: Does the Brainware Group of Institutions college have hostel facility? Ans: Yes, Brainware Group of Institutions has separate hostel facility for both boys and girls. It is situated in inside a campus. Qus: What are the infrastructural facilities provided by Brainware Group of Institutions? 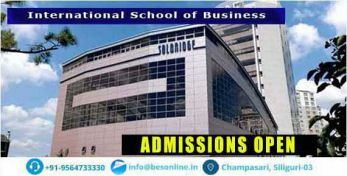 Direct Admission in Brainware Group of Institutions , Direct Admission Procedure in Brainware Group of Institutions , Brainware Group of Institutions Direct Admission 2019, Brainware Group of Institutions Direct Admission Procedure 2019, How to get admission in Brainware Group of Institutions , How to get direct admission in Brainware Group of Institutions , How to get management quota admission in Brainware Group of Institutions , How to get NRI quota admission in Brainware Group of Institutions , B.E/B.Tech direct admission in Brainware Group of Institutions , B.E/B.Tech direct admission procedure in Brainware Group of Institutions , Brainware Group of Institutions B.E/B.Tech Admissions 2019, Brainware Group of Institutions B.E/B.Tech Admissions Procedure, How to get B.E/B.Tech direct admission in Brainware Group of Institutions , M.E/M.Tech direct admission in Brainware Group of Institutions , M.E/M.Tech direct admission procedure in Brainware Group of Institutions , Brainware Group of Institutions M.E/M.Tech Admissions 2019, Brainware Group of Institutions M.E/M.Tech Admissions Procedure, How to get M.E/M.Tech direct admission in Brainware Group of Institutions ,Top Bachelor Of Technology [B.Tech] (Civil Engineering) Colleges In West Bengal., Top Bachelor Of Technology [B.Tech] (Civil Engineering) Colleges In India., Top Bachelor Of Technology [B.Tech] (Computer Science & Engineering) Colleges In West Bengal., Top Bachelor Of Technology [B.Tech] (Computer Science & Engineering) Colleges In India., Top Bachelor Of Technology [B.Tech] (Electrical Engineering) Colleges In West Bengal., Top Bachelor Of Technology [B.Tech] (Electrical Engineering) Colleges In India., Top Bachelor Of Technology [B.Tech] (Electronics & Communication Engineering) Colleges In West Bengal., Top Bachelor Of Technology [B.Tech] (Electronics & Communication Engineering) Colleges In India., Top Bachelor Of Technology [B.Tech] (Machenical Engineering) Colleges In West Bengal., Top Bachelor Of Technology [B.Tech] (Machenical Engineering) Colleges In India., Top Bachelor Of Technology [B.Tech] (Information Technology) Colleges In West Bengal., Top Bachelor Of Technology [B.Tech] (Information Technology) Colleges In India., Top Master Of Technology [M.Tech] (Electronics & Communication Engineering) Coleges In West Bengal., Top Master Of Technology [M.Tech] (Electronics & Communication Engineering) Coleges In India., Top Mba Colleges In West Bengal.